For 43 years I lived and worked with a speech impediment. In my early years I was provided counseling and assistance by the public school system with no results; so I stopped going. After surviving high school and college without much mocking of my lisp I decided I didn't need to be fixed any longer because people who knew me accepted me for who I was. I entered the military and 16 years later my wife began to suggest I attempt to fix my speech impediment before I retired since I would be looking for a second career in the professional community. So I tried again, this time spending a bunch of money with little to no results. The problem seemed to be the methods and my desire; no one motivated me or could demonstrate to me the true problem. Finally, I met Linda Radcliffe who diagnosed my issue and provided me the track toward eliminating my impediment in three visits. With modern, up to date methods and a clear understanding of what I needed to be successful Linda ensured I had the tools to correct my impediment and feel comfortable speaking in public without a lisp. She is a true professional who is constantly studying, learning and applying the modern techniques required to keep her competitive and her clients on the road to recovery. Read other success stories from Agape clients and partners. Linda has an exceptional manner about her. Her care and concern for her patients is one of many great assets to her practice. I love reading your testimonials!!!! Thanks again for working with K today. I was very excited that her reaction was nothing like it normally is when going to new places or meeting new people. She warmed up to you immediately and didn't cry or have a meltdown which is unheard of with her. You have been blessed with such a gift and I am thankful that you followed the lead of the Holy Spirit in starting your practice. I will follow up with you via text next week to check your availability for another session. Every single week my son is so excited to come and see you! Thank you for making our time there so fun and enjoyable. I can't thank you enough for being someone easy to work with and fun to visit. It has made all the difference! No more tantrums going to speech! I have been shadowing Linda for a few weeks now, and it has been a wonderful experience! Linda motivates me each session to pursue a rewarding career in speech therapy by her unmistakable passion for her work. Linda goes above and beyond with each of her clients, by not only providing speech therapy but a personalized experience as well. Linda truly cares about her job and it is exemplified each day through the extra steps she takes to make each client feel encouraged and confident. Linda connects with her clients and their families, and creates a warm environment for growth and development. Linda is an exceptional therapist; she literally changed my life! I came to her in my early twenties because I spoke very rapidly, and it affected my confidence and social interactions. Her professionalism and compassionate approach enabled me to use specific techniques to slow down. She went above and beyond to ensure that I met my goals. I will forever be grateful for what she has done for me. Linda Radcliff is amazing! She has guided our family through our three year old daughter's struggle with severe stuttering. She coached our daughter, Allison, and gave us tools as a family to support her. Allison's transformation from stuttering went from stuttering all day long and now it surprises us once a week if she gets stuck on a word. This change has been a huge milestone for our family all while Allison didn't even know she was attending "therapy" because she had so much fun. Linda is a highly sought after speech therapist, we had to wait for a few weeks to get our daughter a spot, but it is very much worth the wait. Linda called me before any sessions and gave me great online resources as well as tips for our family to start working on immediately. Linda is truly invested in her patients and it shows in everything she does. Linda's speech therapy room is a great setting for kids, including a huge bubble tower. Allison got to pick out a nice toy at the end of every session. My daughter started making cards and asking if she could bring gifts for Miss Linda. Allison truly cherished her sessions with Miss Linda and if we ever have any other speech needs, we will definitely be back. Thank you Linda for your guidance and expertise! My daughter struggled with the R sound for several years; she was receiving speech therapy at school - I wanted one last attempt at correction before a new school year started. I am so glad I found Linda! She gave my daughter the tools and confidence she needed in just one visit. I was amazed at how my daughter was articulating after one hour! 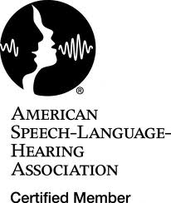 I recommend Agape Speech Therapy 100%! Thank you so much for all of your help! You just can’t know how much you have come to mean to us over the past two years. Not only did your work with Thomas bring him back to us, when at times, I thought he had slipped away forever, but you were always such a comfort to me and a champion for Thomas! You truly helped me as much as you helped Thomas. As dark as some of those days were, you were patient, kind and always reminding me that with time and faith, Thomas would do great things. Regardless of what the future holds for him, his great things are overwhelming to me now. To be able to talk to him, hear him explain how he feels, see pride and excitement in his words and face, and to hear him easily say, “I love you Mommy” is as great as it gets for me! My son, Jadon, has struggled for a while now with stuttering, and it has eroded his confidence in himself and made him more self conscious. It has been so amazing to bring him to Linda, to see how she reaches him in a way that we have been unable to. When he comes home from a session he has a light in his eyes that tells me that he values himself and that he has confidence! It has been beyond great for him. He loves going to Agape Speech Therapy! I thank you from the bottom of my heart, Linda!